Prepare yourself once again for the long and arduous journey from Valhalla in Vikings Go to Hell by Yggdrasil Gaming. In the third video slot game in the hit series, the developer’s latest entry once again pits the fearsome Vikings against their evil demon adversaries from hell! Enjoy high-production values worthy of a blockbuster movie, absorbing action and big cash prizes in this thrilling video slot game. Whether you’re a fan of Vikings Go Wild and Vikings Go Bezerk or a newcomer to the series, you’re bound to be blown away by the awesome animations and rocking soundtrack on display here! Wizard Slots features only the best online slots, and Vikings Go To Hell is one of the best. There's no reason left for players as to why not play these slot games! HIGH-OCTANE ACTION – This isn’t a game where you can just sit back and spin. With rage points to amass, demons to fight and bosses to defeat each game is guaranteed to be different from the last. GO BERZERK – Build up your Viking team’s rage points and watch as they destroy all in their path! Take on the evil demon Lucifix and battle for big cash prizes and glory! FREE SPINS GALORE – Clock up to a massive 16 free spins in one go and grab your chance to defeat the horrifying Lord of Chains to unlock even more free spins! Play slot games today like Vikings Go to Hell! 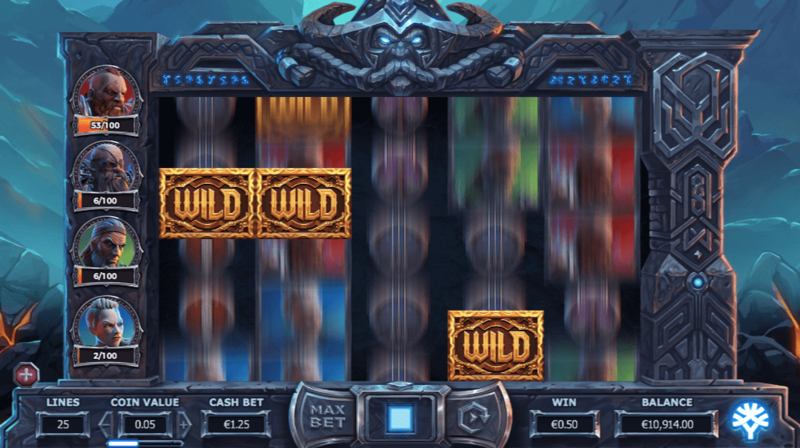 The guys at Yggdrasil Gaming have done it again with this one-of-a-kind video slot experience from their enthralling Vikings series. 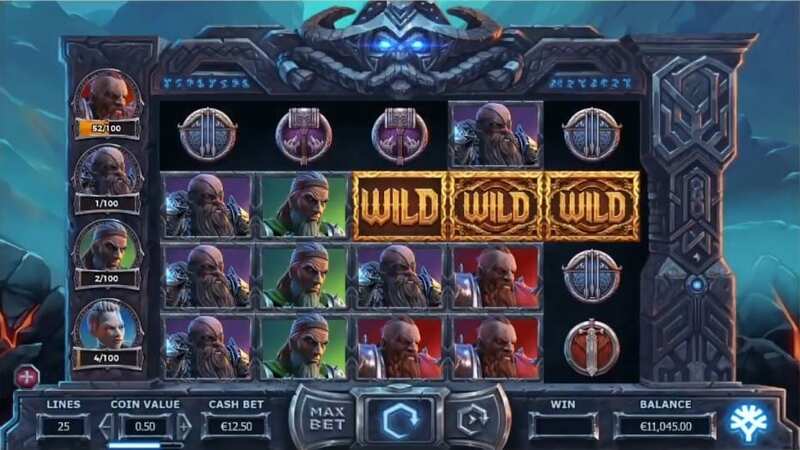 Vikings Go to Hell raises the bar even higher with even more ways to win and even freer spins and multipliers for dedicated players. It might sound complicated, but after a few spins you’ll rocking down the River Styx and hoovering up big returns as you go. Channel your inner Odin, lead your team of Viking heroes to a victory that will ripple down the ages and deposit today for some rip-roaring and marauding video slot fun! If you had fun playing Vikings Go To Hell, then why not play Vikings Go Bezerk. Vikings Go Berzerk - Probably the most popular of Yggdrasil's Viking franchise. Featuring a variety of bonuses including the likes of Wilds, Free Spins, Bonus Chests and more. Vikings Go Wild - An very impressive game both aesthetically and in terms of gameplay, with lots of bonus features to enjoy.